This Mini special edition has a limited production run of only 500 units worldwide – each are individually numbered - and will become one of the most exclusive Mini models ever produced. Just ten of the limited John Cooper Works WC50’s, including the 500th, are destined for Australia. This comes as a significant milestone for the Mini brand in Australia and reaffirms the importance of the local market on a worldwide scale. Embracing the brand's racing pedigree, the Mini John Cooper Works WC50 will first capture the Australian public at the Clipsal 500 in Adelaide and the Melbourne Formula One Grand Prix, during rounds of the 2010 Mini Challenge race series. “The Mini John Cooper Works WC50 pays homage to 50 years of motor sport for Mini. This is a major coup for the Australian subsidiary to secure these highly sought after special edition models, the number 1 car is destined for the BMW Group museum and the 500th will find an admiring home in Australia”, says Justin Hocevar, Mini National Manager. “Obviously Mini has enjoyed a rich motor sport history all over the world, however there’s a particularly proud heritage of motor sport for Mini in Australia and the arrival of this special edition, including the 500th car, is yet another testament to that” says Justin. The car is based on the Mini John Cooper Works and driven by a 155 kW four-cylinder engine with Twin-Scroll turbocharger and petrol direct injection. The production version of the Mini John Cooper Works World Championship 50 features numerous exterior and interior details reflecting the racing history of the brand. 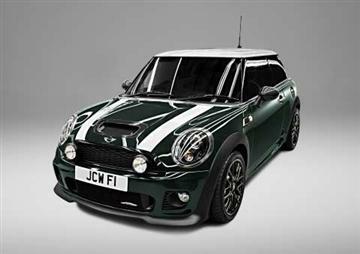 The bodywork of the Mini John Cooper Works World Championship 50 comes in a custom colour for Mini, namely Connaught Green – harking back to the famous colour of British race cars of the 1960s era. It is combined with the roof and bonnet stripes in Pepper White. The green with the white bonnet stripes mirror the colour concept of the Cooper F1 cars. John Cooper’s signature appears on one bonnet stripe and on a facia plaque. Further accentuating the competitive character of the special edition are the John Cooper Works aerodynamics package and John Cooper Works Cross Spoke Challenge light-alloy wheels in Jet Black. This Mini is also equipped with bi-xenon headlights with special black interior surface and additional driving lights with black housings, a plethora of carbon fibre features and special numbering on the side scuttles finishers identifies each Mini John Cooper Works World Championship 50 as an individual entity of an exclusive limited series. Regarding the interior colour and trim, the racing theme is maintained by Carbon Black overlaid by subtle sporty red touches. The full leather sports seats come in black with red piping and the red theme is perpetuated with coordinating red knee-rolls, armrests and red stitching on the floor mats, gearshift and handbrake gaiters. Facia, and door grip finishers continue the carbon fibre theme, as does the John Cooper Works insert on the Sports Steering Wheel, which has an Alcantara rim conceived for sporty driving fun. Like the design features of the Mini John Cooper Works World Championship 50, the power source under its bonnet is similarly defined by the racing competence of Mini John Cooper Works. This 1.6 litre four cylinder unit is based on the engine of the Mini John Cooper Works Challenge race vehicles. It provides 155 kW and develops maximum torque of 260 Newton metres between 1,850 and 5,600 rpm, which can even be briefly increased to 280 Nm thanks to an overboost feature. Power transmission is via a six-speed manual gearbox. All this enables the Mini John Cooper Works World Championship 50 to accelerate from standstill to 100 km/h in 6.5 seconds, going on to a top speed of 238 km/h. Average consumption in the EU test cycle is 6.9 litres per 100 kilometres, with a CO2 figure of 165 grammes per kilometre. 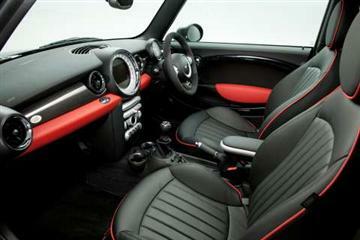 The other nine MINI John Cooper Works World Championship 50 are scheduled to arrive in the second quarter of 2010. 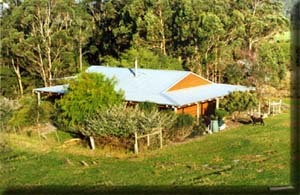 Price and process of customer allocation will be announced closer to arrival.